This is a Minecraft Creative server for the player that wants to build without the hassle of gathering materials. All players can build in creative mode. In the freebuild world, each player gets a 32x32 plot to build on. 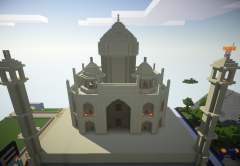 In the main world, diplomats get a whole minecraft world available to them to build large scale projects on.